Kit • Ruthie | Kittens for Kit! 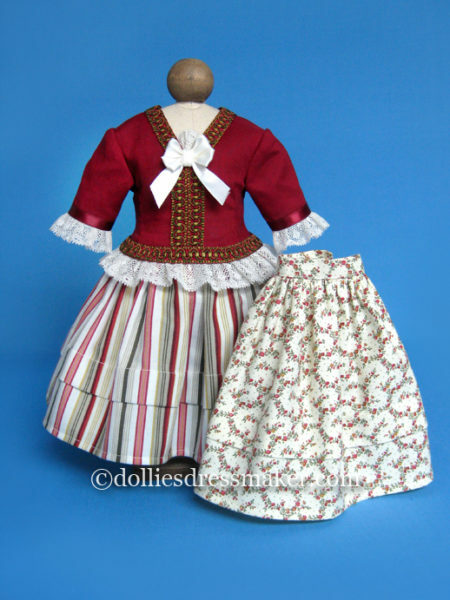 Dress inspired by a 1932 illustration. 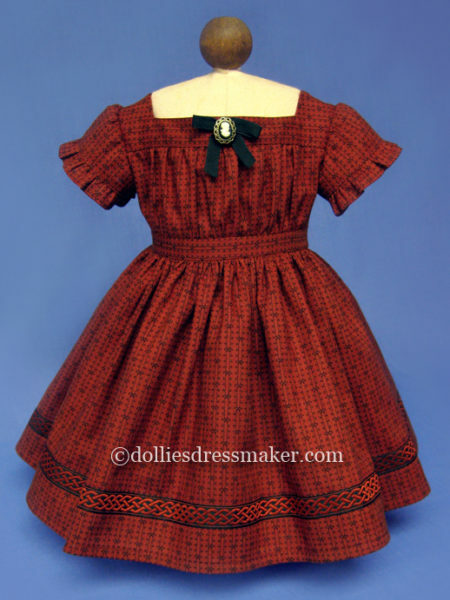 Dress from 1930s “kitty” reproduction fabric. 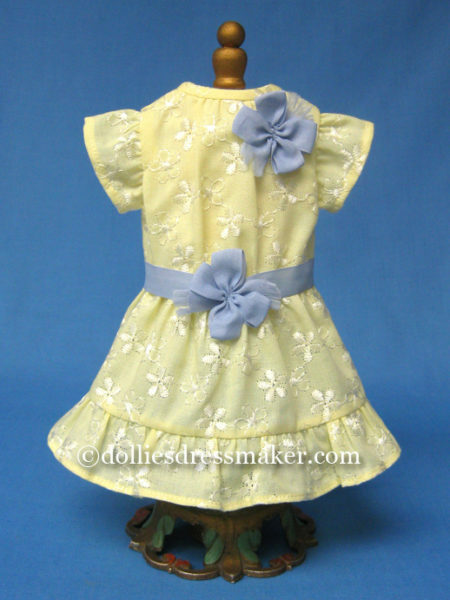 Front bodice tab with three buttons. Ric-rac on sleeves and skirt. 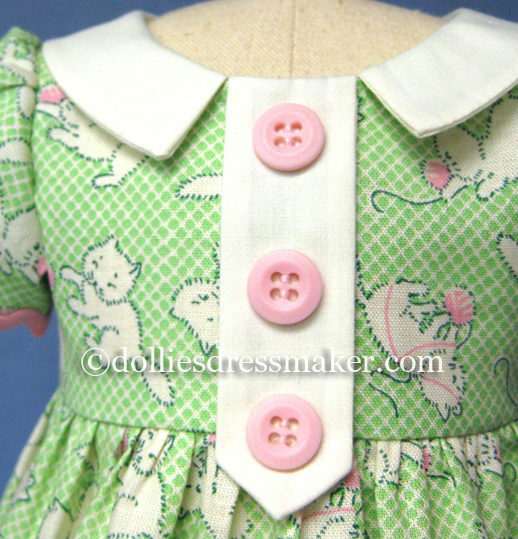 “Kittens for Kit” is a lovely dress. 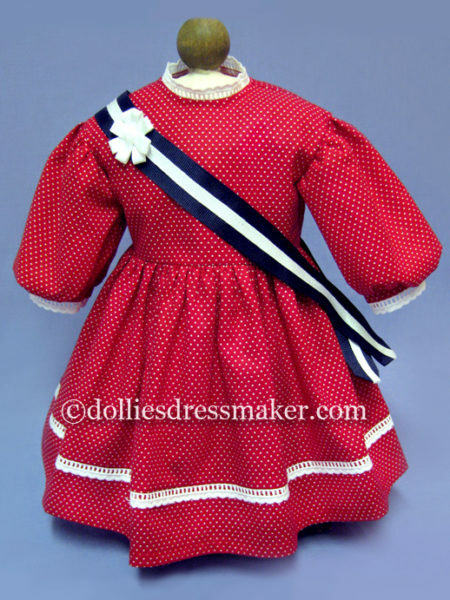 As with all Dollies Dressmaker dresses, it is very well made and looks darling on my daughter’s “My American Girl” Maddie. 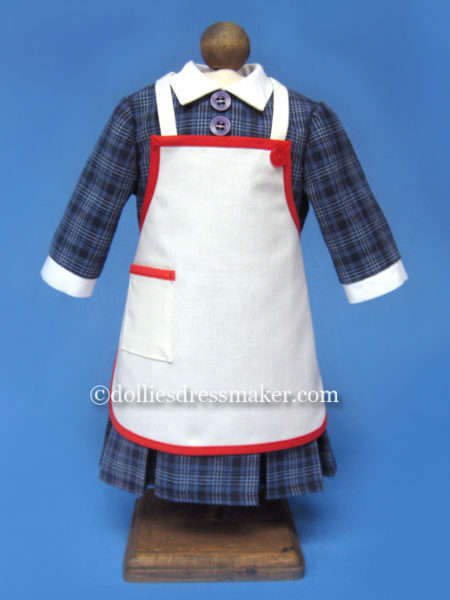 The style is authentic, the material darling, and the workmanship superb.